Wheat is one of the world's most important crops. The FAO (Food and Agriculture Organization of the United Nations) predicts that this years' production will be in excess of 722 million tonnes. One of the main environmental factors limiting productivity of wheat crops is nitrogen availability. Cereals need large amounts of nitrogen to increase maximum yield. This has meant that fertiliser application has increased from 1.3 million tonnes in 1930 to 90 million tonnes in 2004. It gets worse: researchers say that by 2050 fertiliser application will reach 240 million tonnes. 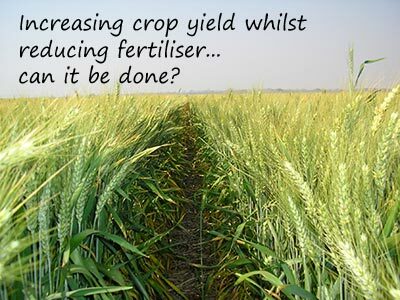 This could be disastrous as excess nitrogen application contaminates ground and surface water. To reduce the application of nitrogen fertilisers, European policies encourage an increase of nitrogen use efficiency (or NUE) through crop management and plant breeding. Spanish researchers - I Aranjeulo, L Cabera-Bosquet, J L Araus and S Nogues - are investigating the processes conditioning nitrogen use efficiency in the hope of increasing crop productivity whilst at the same time reducing the use of fertiliser. They grew plants in two controlled environment chambers. The air of each module was automatically sampled every five minutes. A Microlink 751 data logging unit collected the readings which were then recorded by Windmill Test Sequence software. Test Sequence automates measurement and control tasks by running a file of data acquisition and control commands. It logs data and can monitor alarms, control conditions and send data to other programs like Excel. The results are published in the journal Plant Biology.